I saw this bumper sticker a few years back: “Don’t believe everything you think”. We live in a time in which too many believe everything they think. So a man thinks he is a woman and vice versa. A white person thinks she’s black. Back a few years, people were convinced they could relive past lives. People thought they go through a rebirthing process of reliving one’s own birth. Or the more everyday belief in a piece of salacious gossip: now that’s the truth about John! Now it is good to doubt God but believe in yourself. Then there is the belief of worshipping the ‘god within’: “That Jones shall worship the god within him turns out ultimately to mean that Jones shall worship Jones.” (G. K. Chesterton) What a sad deity I see in my bathroom mirror. Believing in the Lord is debunked, but not believing itself. It comes down to who or what we are believing in. Thomas was locked into his own thoughts, his reason and rationality. Thomas believed, he believed in himself, he believed in his own reason. “Reason is itself a matter of faith. It is an act of faith to assert that our thoughts have any relation to reality at all.” ― G.K. Chesterton, Orthodoxy “This is a key element especially to the devil, as he seeks ways to tear us away from the Word, and then apart from the Word, leads us to think our own thoughts. For then he knows he has won and we have lost.” The measure of a man is not his mind alone, but heart, soul and mind by which we believe and trust and know and the Lord draws us to Himself. This hymn is contemporary. Thomas was a thoroughly 21st century man’s contemporary, our contemporary. Thomas was not there in that locked room with his brother disciples but he was just as locked up as they. The Lord opened up Thomas to the wonder and joy of His Wounds for him, for us all. These things were written in the Gospel, wrote John, that we believe and believing have life in His Name, that is the Word of God, the Word of His Wounds. Hearing of his Wounds we believe, as the Lord said, Blessed are those not seeing but hearing. The world says seeing is believing, the Lord says believing is seeing. His wounds are key to unlock and open us to His forgiveness which releases us from our prison cells. Then to see the wounds of others and in prayer and conversation and pointing them to the Wounded Healer, Jesus Christ is His angels, His messengers, His work below here and now. His wounds bring us His peace. The Resurrection so transformed fearful disciples into bold witnesses in such a short time. Easter is 50 days. In forty days after the Resurrection Jesus bodily ascended into heaven. Ten days later Pentecost. On the day of Resurrection, Peter and the apostles locked themselves up for fear of the Jews.. Understandable: if their leader was crucified, then…In fifty days, Peter faced imprisonment, and possible death, for preaching publicly in the Temple (! ), “We must obey God rather than men”. The same Peter who denied Jesus three times, What happened? Jesus happened. Peter denied Him thrice and thrice the risen Jesus charged Peter: Feed my sheep. Only one explanation is needed and it is written in the Bible and in the witness of Christ’s Church: Christ is risen. Bodily and spiritually, the risen Lord sought Him after the resurrection to unlock him and the apostles. If Jesus had not bodily risen, Peter and company would have eventually left that locked room scurrying away like rats on a sinking ship. But the ship had not sunk, for the captain was on board as He was that time on the Sea of Galilee in the storm, walking on the deep. He is risen. The experience of the resurrection as the foundational act of the church which has carried the faith in the God of Israel into the whole Western world must belong to God’s plan of salvation. . . . Since this Christianizing is based irrevocably on the resurrection of Jesus, the Easter faith has to be recognized as part of divine providence” (pp. 142-143). That is a quote from Pinchas Lapide, Jewish theologian, historian and Israeli diplomat from his book, The Resurrection of Jesus: a Jewish Perspective, written by him in the ‘90s. He wrote that a historian cannot account for the growth of Christianity except He rose again on the third day, just as He said. He understood better the Resurrection than do many Christian theologians, so-called. Three times the Lord says Peace be with you. “Peace be with you” is not just fine how do you do. Peace is Shalom/reconciliation John 14:27 Peace I leave with you; my peace I give to you. Not as the world gives do I give to you. Let not your hearts be troubled, neither let them be afraid. It says in the little red book, Quotations from Chairman Mao Ze Dung of China, one of the ruthless, bloodthirsty tyrants of the 20th century that peace comes from the end of a gun barrel. Yes, if there was chaos here, fighting and stabbing and I produced a weapon, there would be peace. Christ’s peace comes not from the end of a gun barrel, but the foot of the cross. Peace in this world is exacted in vengeance and conquering. Christ’s peace is not vengeance, it is the forgiveness of our sins. In His love we are conquered and more than conquerors through Him who loved us and gave Himself for us. You may be familiar with the old folk song, put your hands in hand of the man of Galilee. 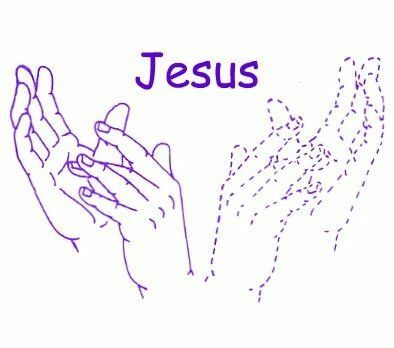 It is more like: Put your hands in the side of the man of Galilee. Thomas heard and believed. These are written that you believe. Remember, the prowling lion the devil, seeking someone to devour, and the devouring sinful flesh, has tried to do a number on the Scriptures now for a century or more. The result is we do what we want to do (Old Adam) and in the last century genocide, wars, and terror inside and out, has been unleashed upon the earth as never seen before in the history of mankind. “Art, like morality, must draw a line.” (Chesterton) The Lord in His Law has drawn the line and He crossed the line to an iniquitous land to save us. He sent the apostles out into a small world of fact. His Word of His wounds seek a wounded mankind with His peace.